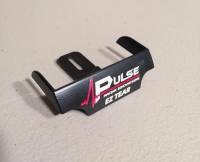 Pulse Racing Innovations is dedicated to bring products to market that help racers be better, stronger, and faster! Our roots are in motocross, but our product line spans all forms of motor racing, including motocross, enduro, cross country, flat track, ATVs, sprint cars, modifieds, and go-karts. 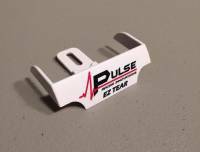 X Stack Laminated Tearoff System represents the latest and best product introduction to date from Racing Optics, the leader in motorsports laminated tearoffs. 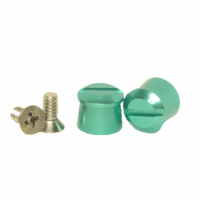 These are the Worlds Best Tearoffs! Tear-offs made by Manufactures for specific uses such as open cockpit high speed in which normal tear offs may fail. 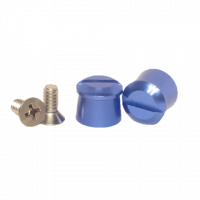 These affordable Tearoffs are packaged 20 per pack, in zip-lock packs, 10 packs per box. That's 200 tearoffs per box. 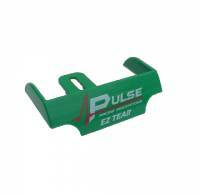 Description: Pulse EZ Tear system packaged with a pair of tearoff posts. 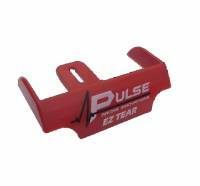 Description: The Pulse Racing Innovations EZ Tear provides a shield for the folded tearoffs to keep you from grabbing them by accident. The inspiration for the EZ Tear was came while watching a Budds Creek Motocross National. Ryan Dungey pulled his tearoff stack early in the moto. He rode much of the race with the stack flapping against the right side of his helmet. Ryan made some dramatic passes, but ultimately failed to win the race, perhaps in part due to his lack of clear vision. We thought that there must be some way to prevent that problem. 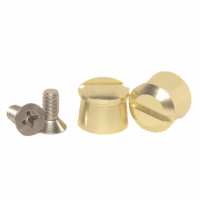 After much thought and lots of discussion, the EZ Tear was conceived and perfected. 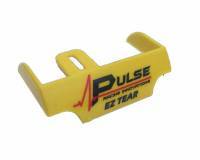 We recognized that the EZ Tear concept would work equally well with helmets using goggles or shields. We filed for a patent which was ultimately granted in 2015.